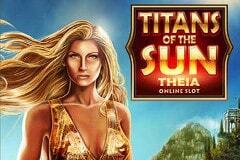 Titans of the Sun – Theia is one of a pair of online pokies from Microgaming that is themed around Greek mythology and has virtual identical features, symbols and gameplay. The other game is Titans of the Sun – Hyperion and according to legend Theia and Hyperion were brother and sister who became parents to the Sun, Moon and the dawn. Glossing over that fact, we have a very attractive game, with some elaborate images of ancient Greece and a couple of nice bonus features such as wild substitutions, a Mystery Symbol that’s basically another wild, plus free spins with a multiplier and scatter payouts. A brightly coloured picture of a Greek harbour city forms the attractive backdrop to the reels. There’s mountains, the sea, waterfalls, temples and a cloudless sky to look at, while surrounding the actual reels is an elaborate frame complete with gold detailing. Where players would expect to find payline indicators, we instead see that this game has 15 fixed lines, so there’s no option to adjust how many of them are in play and this makes the minimum stake per spin 0.15. A series of control buttonsare used to raise the bet amount if wanted, with players able to set the value of a coin to a maximum of 0.50 and have up to 10 coins in play at once. This all adds up to a top stake of 75.00 per spin, which is more than enough for the vast majority of players. An Autoplay option can set the reels spinning with no input from players, up to 100x and then there’s the facility to stop the spins should pre-set win or loss levels be reached. Looking at the symbols themselves, we see that players win whenever 3 or more of the same type stop across a line running from the left side, with the widely used playing card symbols 10, J, Q, K and A making up the lower value end of the table. 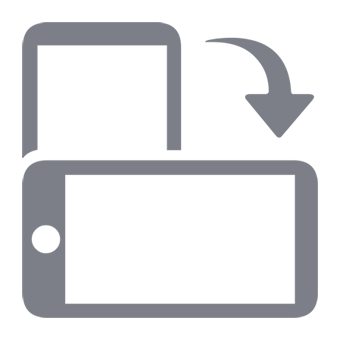 These are exactly the same icons used on many Microgaming pokies and it seem that they have missed an opportunity by not redesigning them to fit in with the theme. Bigger wins are created by lining up the game-specific symbols such as a flaming eagle and a sunburnt horse. Poor things. The beautiful Theia herself is the most valuable of the standard symbols although as an additional little treat, she can appear stacked on the reels. On top of this there are a few bonus symbols that trigger the extra features. The Titans of the Sun logo is a wild symbol which pays out some big rewards when it makes up a line, but will also act as all the standard ones if it can complete a winning combination. A similar feature is seen when the image of the Sun appears. It will transform into random high or low value symbols, making up a winning line as it does so in a feature called Stacked Mystery Symbols that’s actually just stacked wilds, but very welcome anyway, so who’s complaining? The scatter symbol makes you wonder if Microgaming read their Greek mythology before creating these pokies, as it’s an image of Theia and her brother embracing. Anyway, moving on, it pays out wins of 1x, 5x, 20x and 100x the total amount staked per spin when landing in 2, 3, 4 or 5 positions on the reels, without having to be on a payline. If at least 3 appeared, players are also awarded 15 free spins and during these, any wins are doubled in value. These can be retriggered if 3 more scatters appear at once during them, with another 15 added on to the end of the current spins. During the free spins, the Mystery Stacked Symbols feature gets improved, with the Sun transforming not only into standard symbols, but also the wild, which should boost the number of wins. There’s really not much to distinguish this game from the Titans of the Sun – Hyperion pokie, so anyone who has played either one will probably not bother too much about playing the other. But there’s nothing actually wrong with either, with the inclusion of the standard playing card symbols perhaps being the biggest issue with this game.